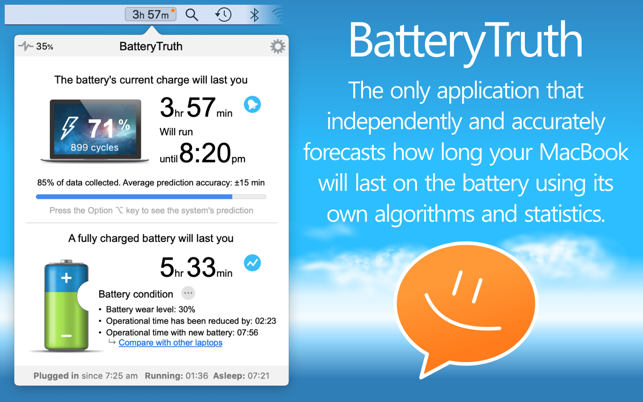 The only application that independently and accurately forecasts how long your MacBook will last on the battery using its own algorithms and statistics. 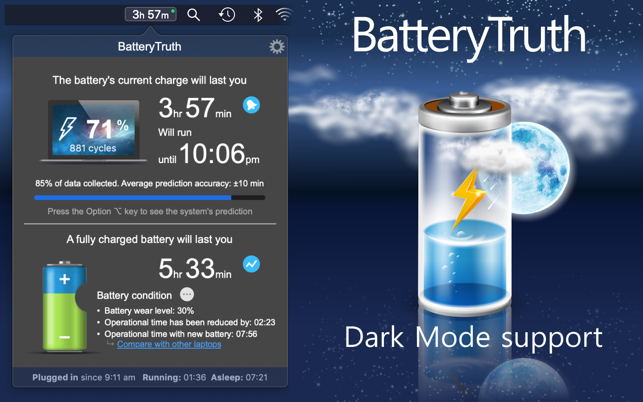 Want to learn the real duration of your laptop’s battery life? 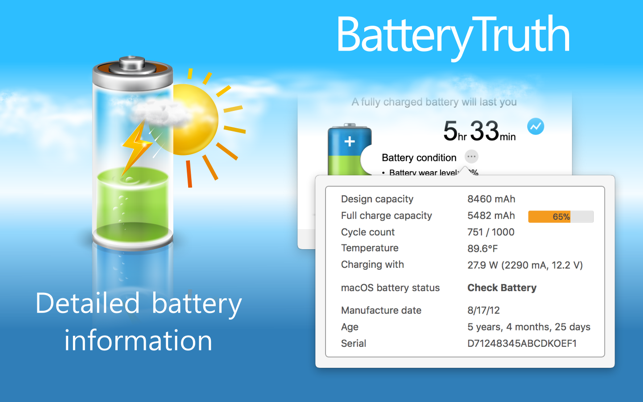 Want to see how much time you have remaining until your computer shuts down? 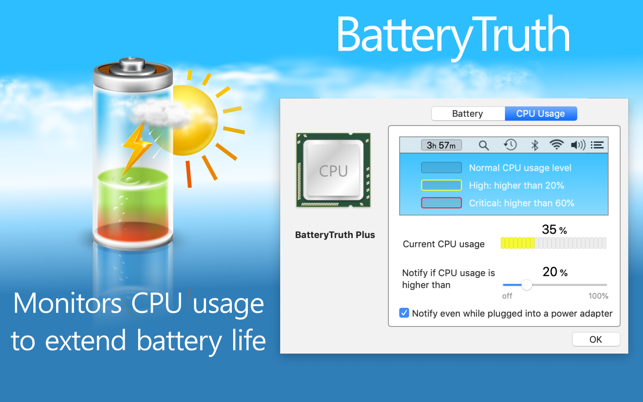 BatteryTruth will answer these and other questions by constantly analyzing your laptop usage statistics. 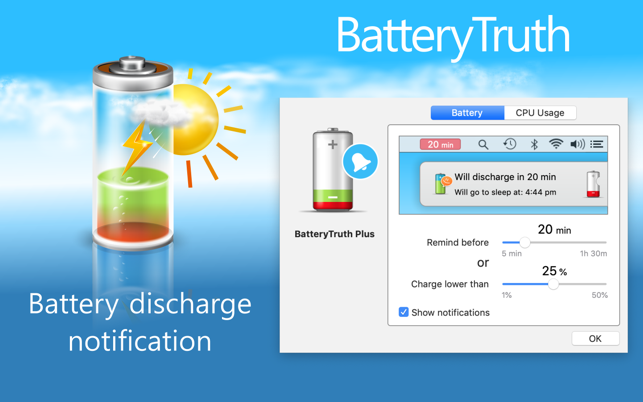 macOS battery notification acts in the same way - you need to click on it to hide. Regards.